Our podiatry department specializes in diagnosing and treating all disorders and conditions of the feet. Feet problems can affect people of all ages, but are most common in older people, diabetics and athletes. 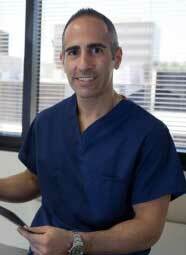 Podiatrists provide medical and surgical treatment of foot conditions that are caused by injury, disease or genetics. Each foot contains 26 bones, 33 joints and 100s of ligaments, muscles and tendons that are all under frequent pressure from daily activities. This puts the foot at high risk for injury and other damage. 75 percent of Americans will experience foot problems at some point in their lives. Because the foot is such an important part of our daily lives, it often requires specialized care from a podiatrist. Foot problems can affect the bones, joints, muscles or skin of the area, all of which are highly susceptible to damage. Fortunately, Orthopedic Medical Center's board-certified podiatrist can evaluate and treat your feet and ankles, whether you're suffering from chronic pain or have sustained an injury. This includes problems such as heel pain, arch pain, birth deformities, tumors, arthritic and diabetic foot deformities, ankle sprains and fractures, bunion and hammertoes, and many other conditions. 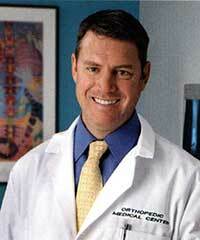 At Orthopedic Medical Center, we specialize in preventing, diagnosing and treating foot conditions. We can examine your foot problems with state-of-the-art X-ray, CT and MRI imaging devices. 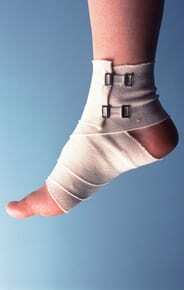 Our treatment options range from splints and braces to advanced surgical procedures. 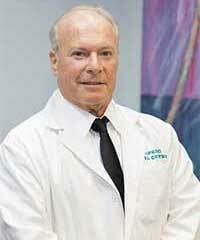 Dr. Perry is specially trained in providing effective treatment with long-lasting results and quick recovery. The best treatment for you depends on your condition and medical health. We will work with you to determine which method is right. If you experience regular foot pain or discomfort, it is important to see a specialist. Untreated foot disorders can worsen over time, or may be the first sign of a systemic disease. People at high risk for foot problems, such as those with diabetes, should see a podiatrist on a yearly basis. If you have foot or ankle pain, don't assume there's nothing that can be done. Make an appointment at Orthopedic Medical Center and we'll help you put your best foot forward.